Money coaching program helps clients to solve common problems associated with money choices, patterns, and the day-to-day management of money issues. It assists individuals in identifying and moving beyond these restrictions. This can result in much greater personal satisfaction, increased abundance, and enhanced success in life. 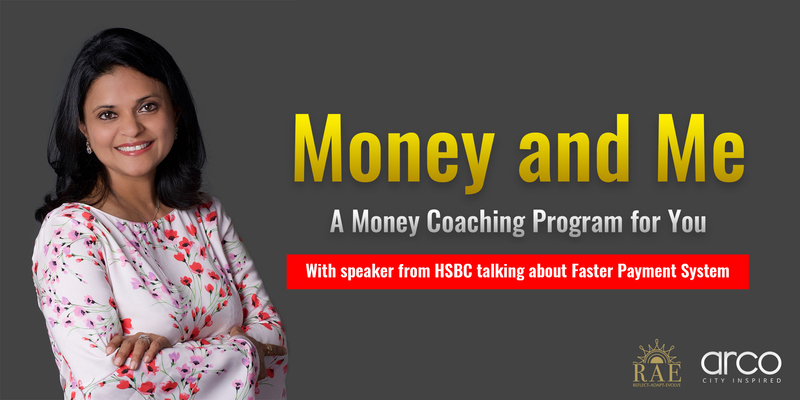 A certified money coach (CMC)® who brings to senior executives and managers a combination of strong coaching skills and ten years of experience in telecom and banking industry (factoring services and training) in India. Her innovative money archetypes approach leverages cognitive, behavioural and systemic frameworks to help groups and individuals enhance their relationship with money. As a professional coach, her clients include young adults, business owners and coaches. Drawing from her personal and professional experience she reinforces her coaching skills, she is specialized in active listening, one-to-one coaching and public speaking. Mr. Chan is the Senior Vice President of Global Liquidity and Cash Management Sector in HSBC Hong Kong. • Learn if these are not your money issues but your personal issues.